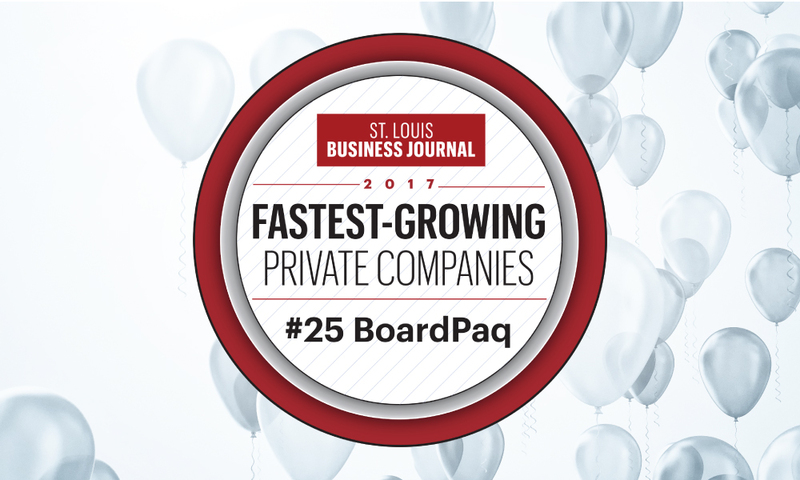 We are proud to announce that BoardPaq has been ranked #25 among the fastest-growing private companies by the St. Louis Business Journal. BoardPaq is an affordable, easy-to-use, secure portal on iOS, Windows and Web devices for planning, running and managing paperless board, leadership and committee meetings. Randy Schilling, President & CEO, said “We are excited about our future growth as we continue to add new features to our award winning Board Portal solution and sign up new customers throughout the United States and around the globe”. We are grateful for the support and feedback of our users and look forward to the continuing advancement of BoardPaq!